Who Is dr. Nicole Steele? Visionary, trainer, facilitator, speaker, writer, youth advocate, and certified life-coach, Dr. Nicole Steele is the founder and Executive Director of Diamond In The Rough Youth Development Program, Inc., an award-winning, faith-based, non-profit mentoring and leadership program which has served nearly 5,000 youth and families since its inception in 2004. She is also the President of Gem Makers, LLC, which provides coaching, consulting, courses, conferences and creative content. In addition, Steele is the Executive Producer and Host of A Priceless Perspective radio, and the published author of four books. With more than 25 years corporate and youth development experience, Steele has committed her life to empowering ladies, leaders and little girls around the world. She has been featured in various newspapers and magazines including People You Need To Know and the Atlanta Journal Constitution, and has also made numerous appearances on local radio and television programs including Trinity Broadcast Network and Good Day Atlanta (Fox 5). Dr. Steele is a Certified Christian Life Coach, holds a Bachelor’s degree in Business Administration from Alabama A&M University and received a Certification in Nonprofit Leadership from Michigan State University. 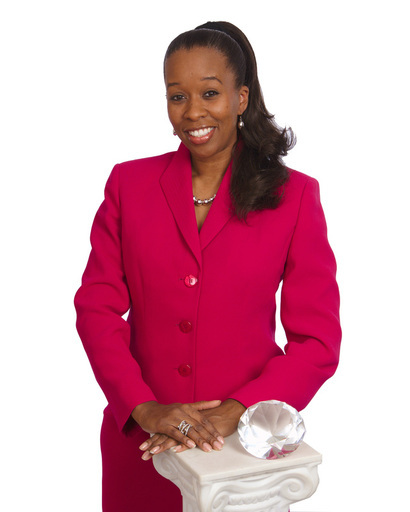 She is a graduate of the Gwinnett Neighborhood Leadership Institute (GNLI), and in 2016, CICA International University and Seminary conferred its highest honor, awarding Steele with the degree of Doctor of Philosophy Humane Letters for over 25 years of service as a visionary, author, speaker, change agent, and advocate for women and girls. In addition, Word of Life Ministries International has conferred upon her all rights and privileges of an Ordained Minister, Chaplain and Ambassador at large. Dr. Steele is the recipient of multiple awards including the Department of Education’s 2018 MLK Drum Major Innovation Service Award, 2018 TIAA Difference Maker 100 Honoree, 2018 Raising Our Village Community Award, The People You Need To Know Super Star Award for Girls Empowerment, the Unsung Heroine Award Nominee, the USPS Women Putting Their Stamp on Atlanta Award, and the Soroptimist International Woman of Distinction Award. In addition, Steele was a nominee for the Trinity Nonprofit Award, The Rising In Community Excellence (RICE) Award, and the Jafee Awards. Dr. Steele has received The State of Georgia Outstanding Citizen Award and the President’s Service Award and The 2016 Presidential Lifetime Achievement Award from President Barack Obama. Dr. Steele is convinced that together we can truly transform the world…one child, one family, one community at a time. Call today to book Nicole Steele for your workshop, women’s group, church event, or upcoming conference..